From ideas to reality, from illustrations to patterns, from finished garments to happy customers. 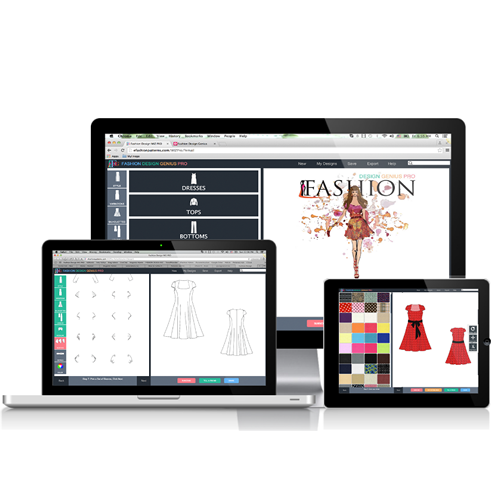 Launching or growing your fashion business has never been so FUN, SIMPLE and Efficient. Point and click on the selection of style lines, silhouettes, lengths, sleeves, necklines and details. Then, choose materials and colors, customize fabric types and, finally, add custom measurements. Within MINUTES, you’ll receive a complete, customized pattern of your design in the format of your choice (also a flat sketch and a rendered illustration). 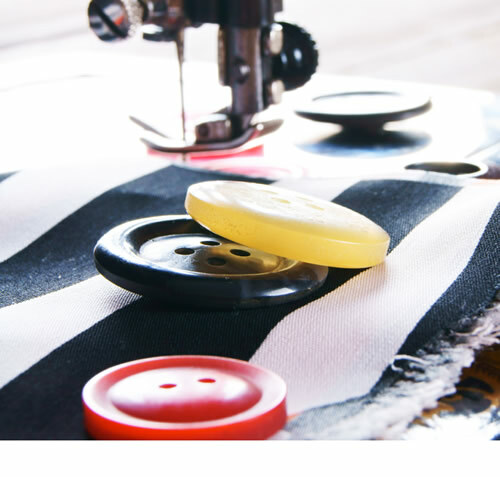 Sew a single unit or manufacture thousands – YOU CHOOSE! With our social network system, people will reach out to you, pre-order your items or order from your stock inventory. You can also advertise your sewing, pattern making service or any production business and it will grow with every great review you receive. Marketing, promoting and branding have never been simpler when you use our easy-to-use social media tools to promote your business. Just point and click to see your original design born in minutes. 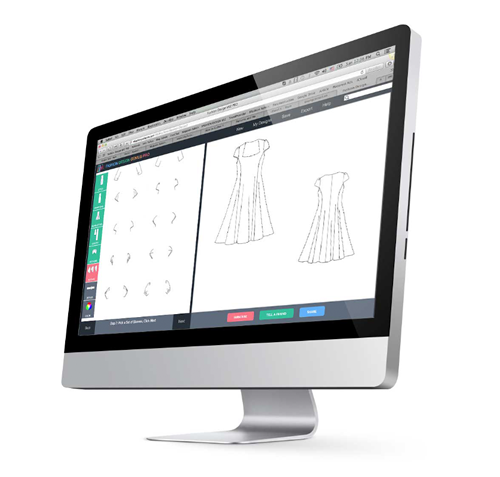 Add fabrics, colors and your measurements, then receive a pattern of your unique creation. 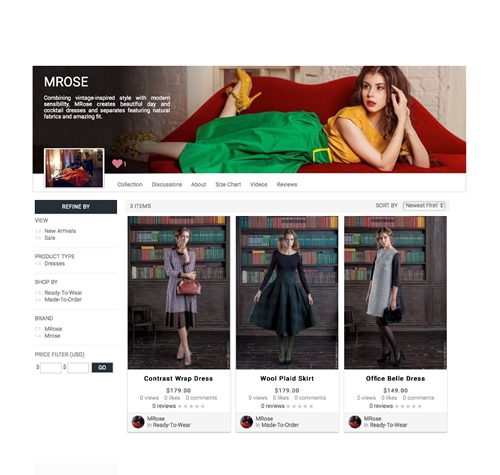 Sell your delectable designs through our social network platform that promotes your items with wish lists, likes and reviews from users/buyers. As you receive more and more positive boosts, your items will fly out of your shop! Also, easily brand your boutique, promote it and generate revenue with our helpful tips and techniques. Need a seamstress or tailor? A cut-and-sew professional? Specific fabrics or print? Or any other help bringing your wonderful creation to life? You can find whoever you need here, too. Simply search and find one within your budget. We’re even better than Project Runway – no stress and no drama, just beautiful designs showcased here. Watch your creations gain popularity – and sales – through the magic of social networking and our “like” and “review” systems. 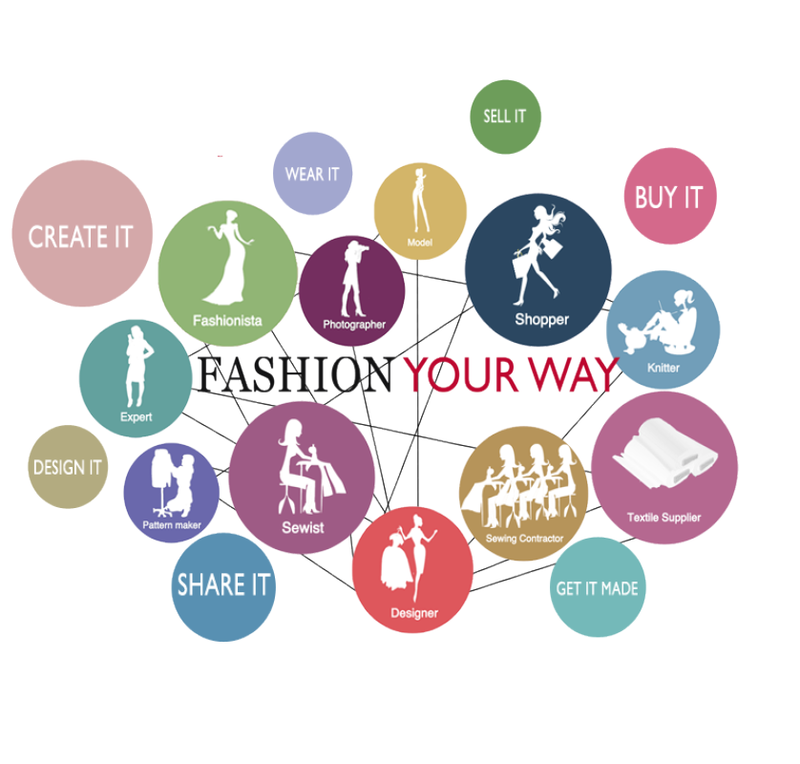 We prove fashion design need not be competitive, grueling or exclusive. 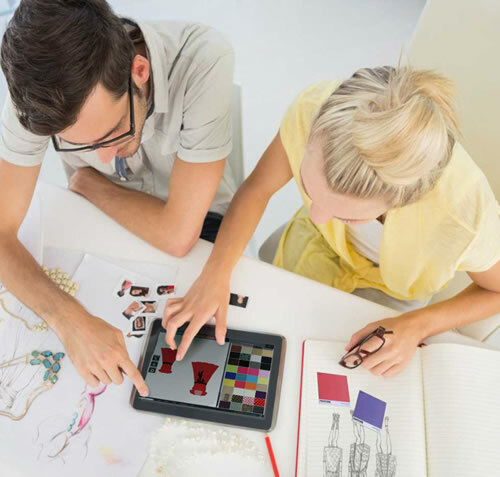 Watch as you design and manufacture your own collections, access international distribution and gain customers easily through our proprietary platform.